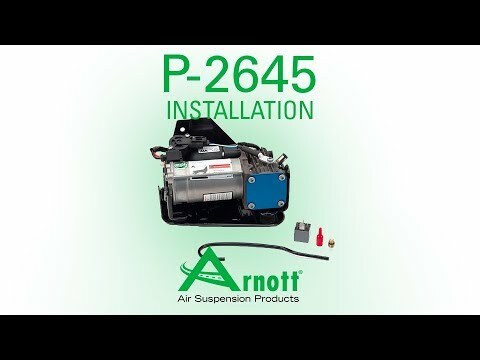 The AMK Air Suspension Compressor for the Land Rover LR4, Arnott part P-2645, is manufactured by the same supplier that Land Rover uses to replace the OE compressor. This maintenance-free AMK compressor features a compact design which is both energy efficient and quiet. Arnott assembles this pump in the USA with a vehicle specific support bracket for a fast and easy installation. The compressor comes with an integrated air dryer unit, 18 piece vibration isolator kit, new air line fittings, electrical connection, compressor pressure hose and a new compressor relay.